How can we help a new city agency successfully introduce itself to NYC Veterans and support their mission? 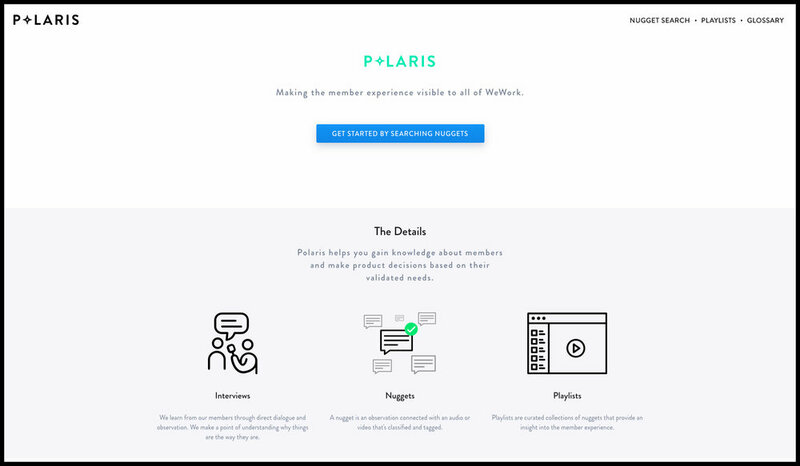 For our Public Interfaces class we partnered with the newly created NYC Dept. 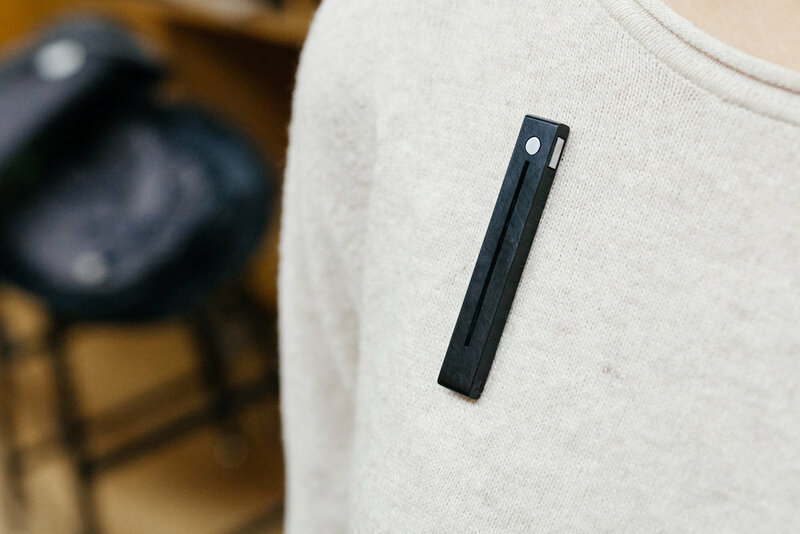 of Veteran Services to help them establish their brand presence and to support their mission to help veterans young and old get the benefits they earned and deserved. We conducted qualitative research along with existing research to better understand veteran needs to emphasize that any design solution must account for different types of veterans who need and want different kinds of assistance. 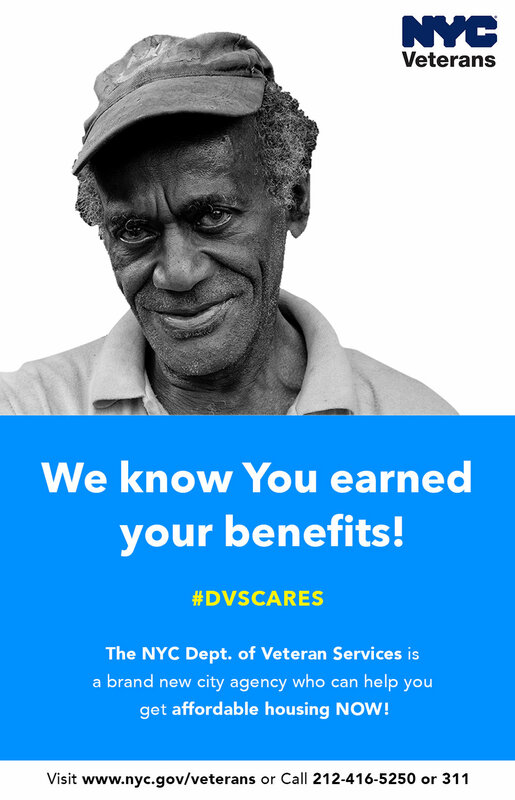 We created a public ad campaign that highlights how DVS will make it easier for veterans to receive the benefits they rightfully earned. We also redesigned their website around different veteran needs to streamline the process of veterans finding the information they want––fast. Lastly, we urged that they begin a public outreach program to humanize their image among veterans while increasing the success of their mission by going straight to their audience. Although the NYC Dept. of Veteran Services existed as the Mayor's Office of Veteran Affairs prior to 2016, yet it is still a widely unknown organization in the veteran community. As a new city agency they are still trying to establish their identity and determine the best way they can serve NYC's veteran community. As a former Marine, I recognized that not every veteran is the same and may have different needs or need for assistance. Therefore, it was imperative that we conduct qualitative research to better understand the differences between veterans and their needs. We interviewed veterans of different backgrounds both in-person, over the phone and through online video platforms to better understand the challenges they faced while returning to civilian life and trying to use the benefits they earned. After speaking with many veterans from different backgrounds, a clear pattern emerged––Vets were relying on peer networks to learn about and apply for their benefits because the information that existed on different platforms was fragmentary and not always straightforward. So Veterans would learn through trial and error then share that information with the next batch of veterans trying to navigate this confusing system that is supposed to be there to help them adjust and become successful civilians. “If the information on the internet was actually clear and true, I would’ve used it, but because it was not, I talked to people… It is like solving a puzzle. I also researched existing work in this area and came across the VA Center for Innovation's Veteran Personas, which concluded that Vets transcend traditional demographics and can be better served by matching there needs to a particular persona. From this research we determined in order for DVS to be successful in their mission, they had a small window of opportunity to introduce themselves to the veteran community and to start serving them based on the different needs laid out in the different veteran personas. 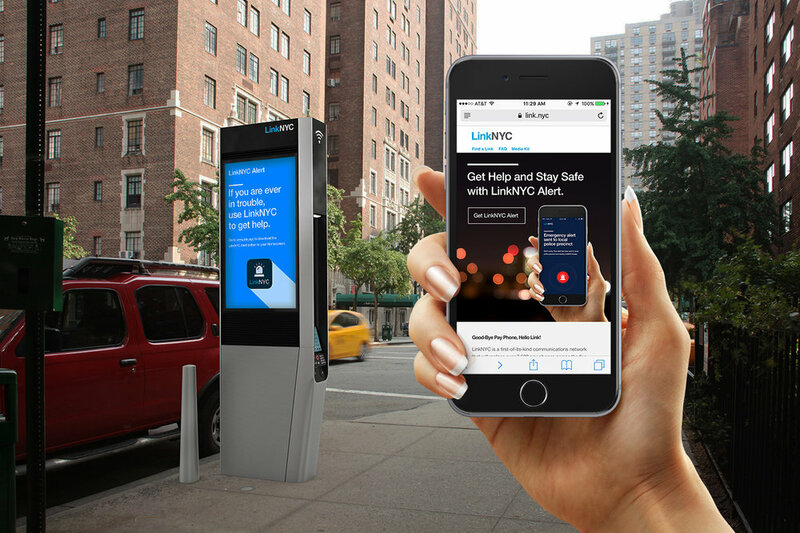 Create a public ad campaign on buses, bus stops, trains, subway stations and digital spaces like LinkNYC kiosks. 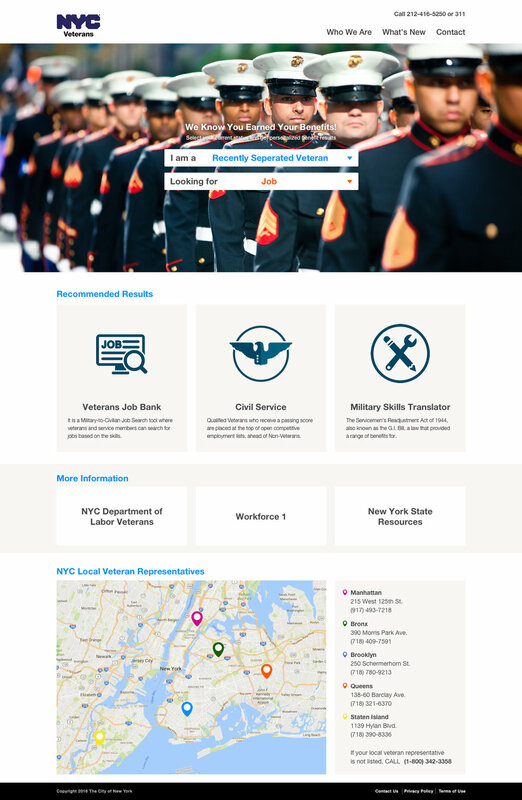 Redesign their website to streamline the process based on different veteran needs. Start an outreach program to humanize their brand and increase likelihood of helping veterans receive the benefits they earned. With these ads, we wanted to grab the attention of veterans riding public transportation, but also make it clear that DVS is a different kind of government agency that truly values the veteran community and is competent and ready to serve them. They would also target specific personas to increase the opportunity of helping different veterans with different needs. 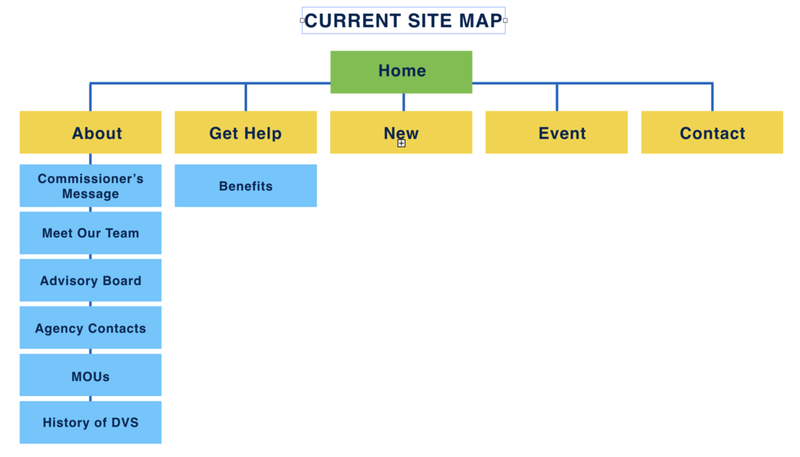 The current website design was organized for veterans in general, but made navigation to their specific needs a cluttered process as they would have to click on each tab to discover if it had the relevant information they were seeking. 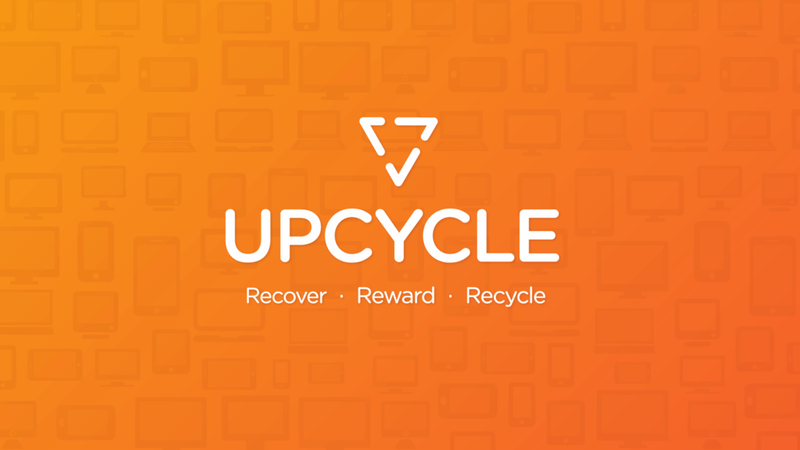 Our redesign would take that work out by curating a recommendation result based on their veteran status. The visual design is also cleaner with less text to provide an experience that requires less mental effort to learn how to use the website. 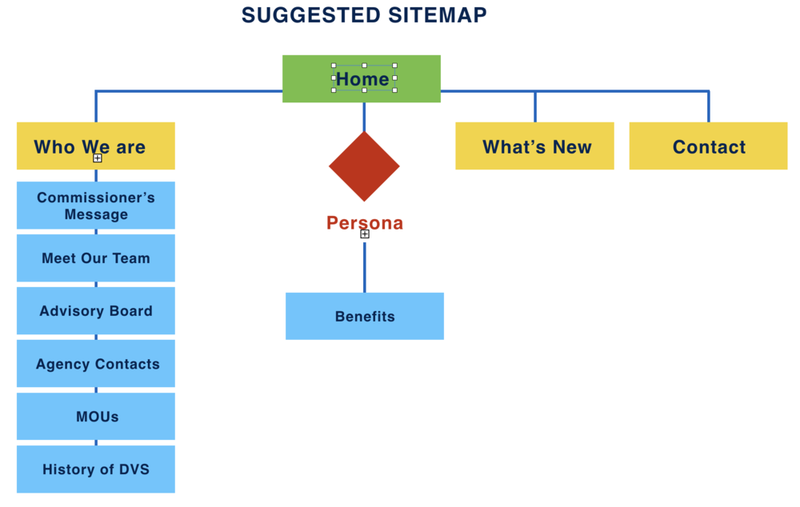 This would increase personalization for different users and make navigation fast and easy. Below are the early low fidelity version and the higher fidelity version. For their team page, we wanted to make their presentation neater by making their photos of uniform size, and add short descriptions about their backgrounds. We also thought it would be beneficial to add the emblem of the military branches that some of the team served with to bridge a connection between them and the veteran community they are trying to help. The tone we wanted to strike was one of competence, but also that they had first hand knowledge of what veterans experience when returning to civilian life. Our last recommendation was that DVS begin a weekly or bi-monthly outreach program to go directly to the community they want to serve. Research indicates that engaging directly with people in need of assistance increases the likelihood that they will accept some form of it simply because outreach shows that you care enough to meet people at their point of need rather than waiting comfortably in an office for them to come to you. Small teams of 2 to 3 people so you don’t overwhelm Vets with your presence. Time: 1 hour is sufficient, but we understand if this is a constraint. Frequency: Ideally once per week, but 2 or 3 times a month works too. 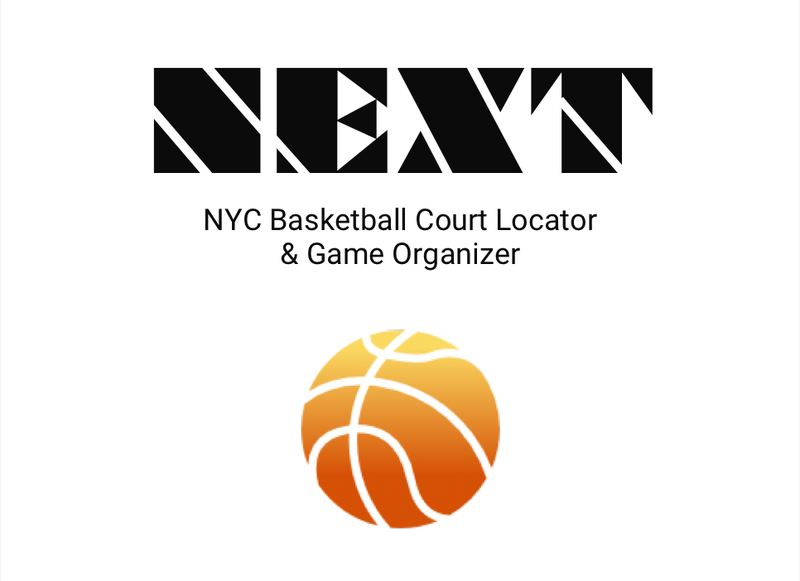 Locations: Start at the VA Hospital then move to outer boroughs. Goal: To humanize the DVS brand and encourage Vets to work with you to gain their benefits.